GUILTY! 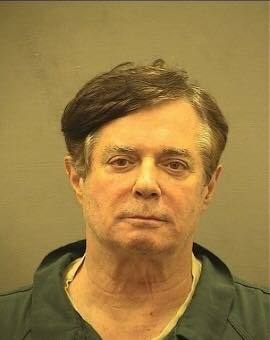 FORMER TRUMP CAMPAIGN CHAIRMAN PAUL MANAFORT IS FOUND GUILTY OF TAX AND BANK FRAUD! Manafort was found guilty of five tax fraud charges, one charge of hiding foreign bank accounts and two counts of bank fraud. The trial carries major implications for the future of Mueller’s investigation. Trump has repeatedly called the probe a “witch hunt” that hasn’t found evidence of Russian collusion with his campaign, and his allies in and out of the White House say the special counsel should wrap things up. Manafort is the fourth former Trump aide to be convicted of crimes charged by special counsel Robert Mueller — and, amazingly enough, his verdict came down just minutes after another former Trump aide, Michael Cohen, pleaded guilty to charges in a separate investigation Mueller had handed off to the Southern District of New York. ← MICHAEL COHEN, TRUMP’S FIXER AND FORMER LAWYER PLEADS GUILTY!